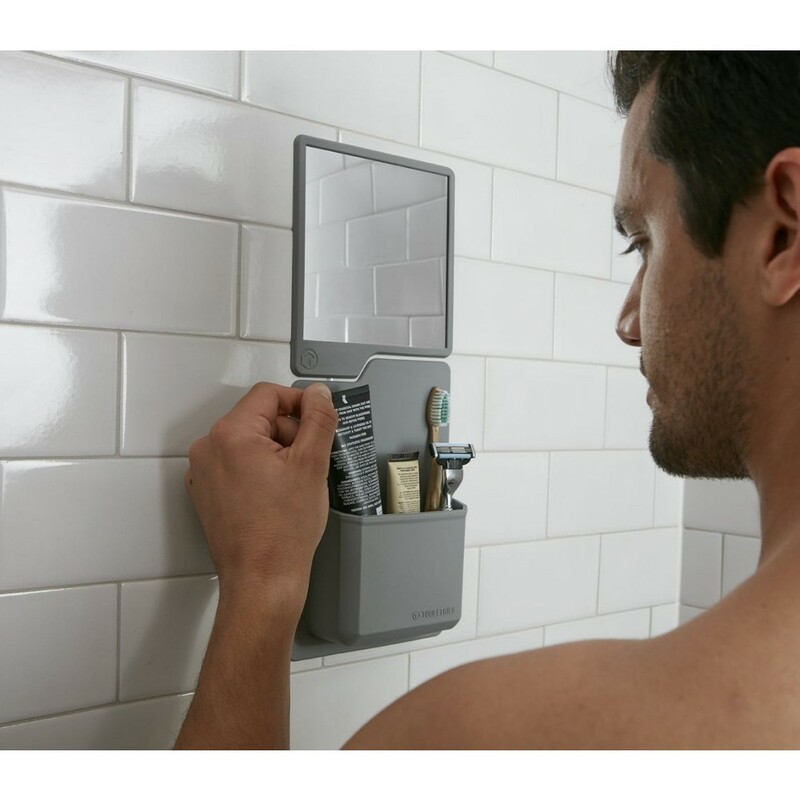 * MIRROR ONLY* Holder sold separately. With its innovative patented silicone grip, Oliver is a clever little guy. He'll stick by you, and on any flat shiny surface. It'll never lose its grip regardless of how many times it is shuffled around. 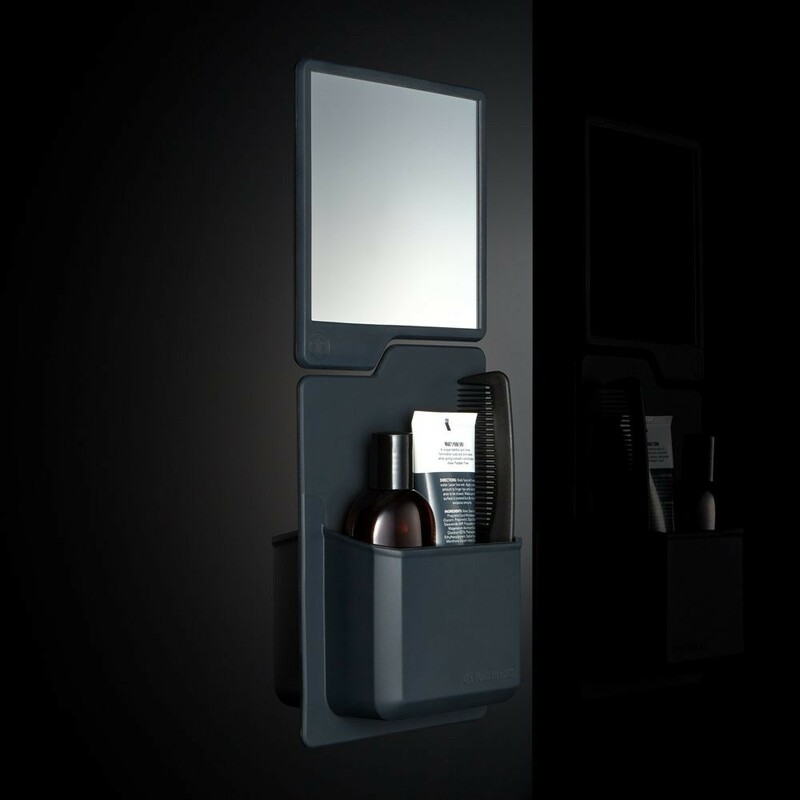 The mirror itself is made of shatterproof polycarbonate. 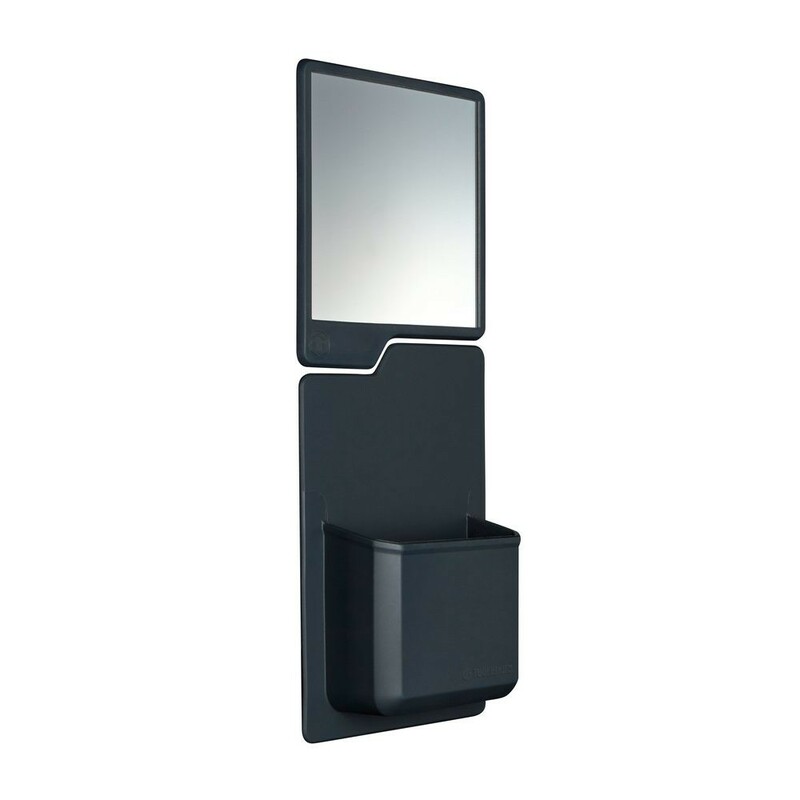 The mirror can be used by itself, or is designed to fit neatly above the Toothbrush or Razor holder.